There are no "magic" foods weight loss and health, but if there were - spaghetti squash would rank high on the list. Slice it in half, roast it in the oven, and BOOM! 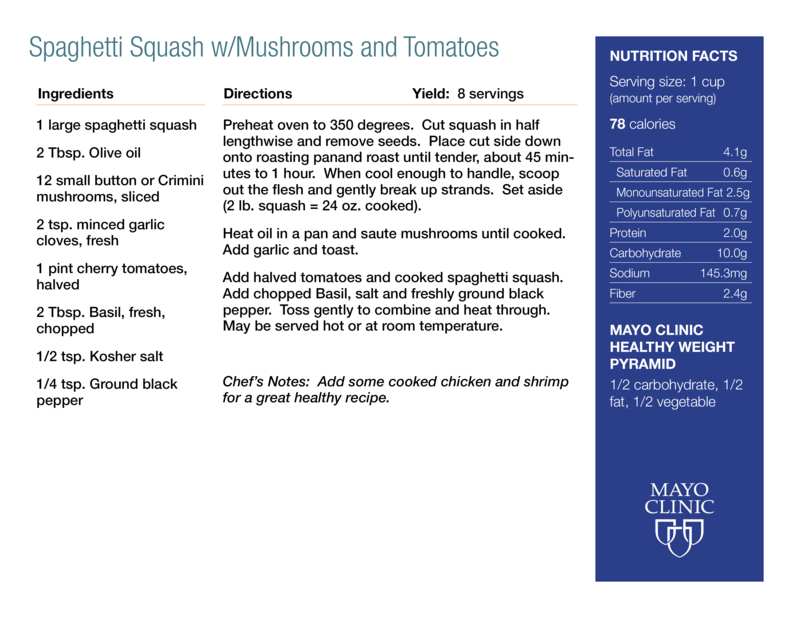 - this low-calorie, high volume squash transforms into flaky strands of spaghetti! Toss in some sautéed mushrooms and tomatoes, and you have yourself a simple and delicious dish you can feel good about.